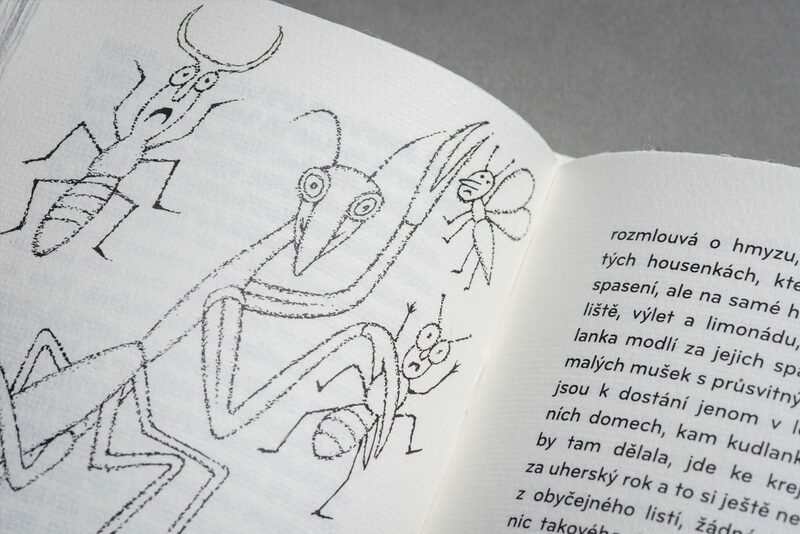 An occasional print run of 100 hardcover copies was made on a handmade graphic paper from Velké Losiny. 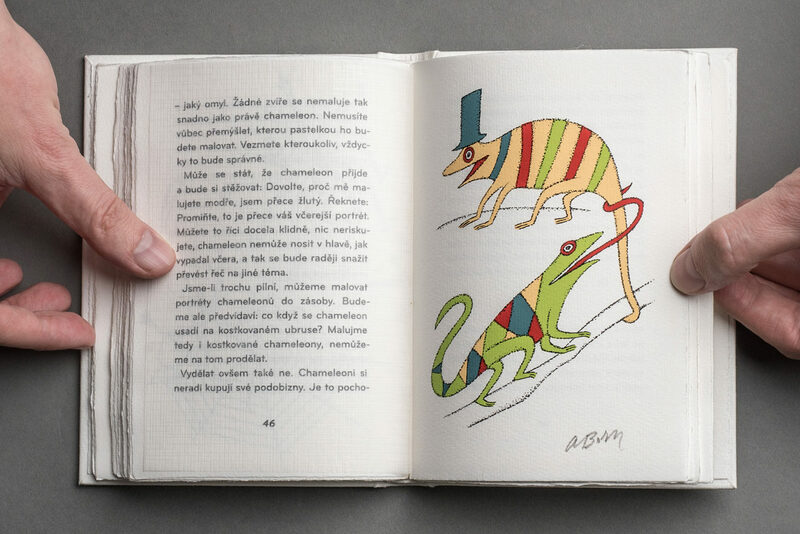 The book includes four signed and numbered graphic artworks by Adolf Born. 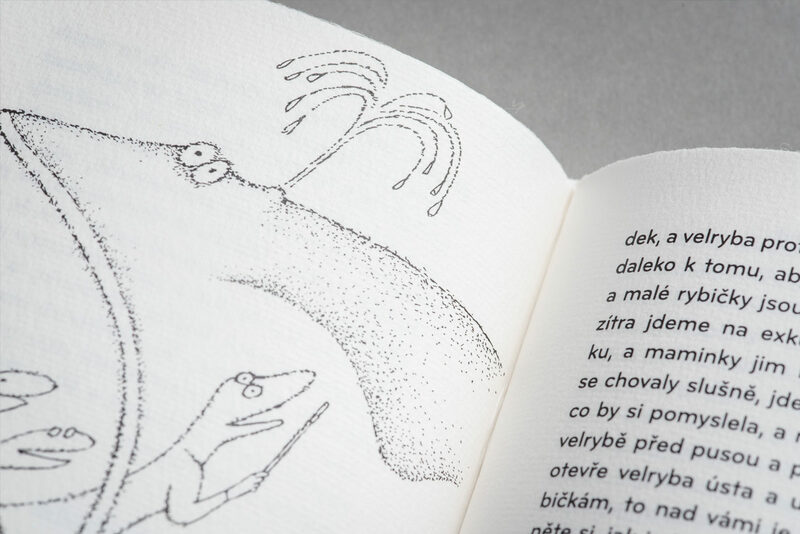 They were printed in the Pavel Barták´s print screen studio in Prague. 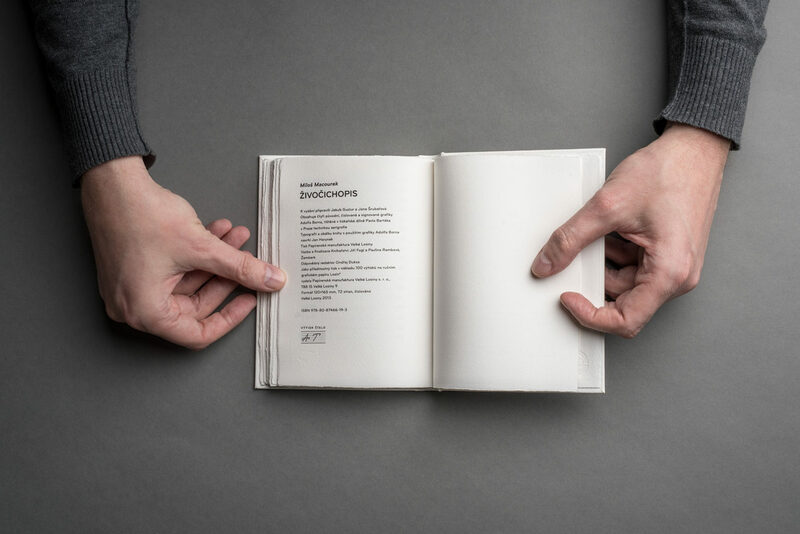 The bibliography is printed on the handmade graphic paper Losín. 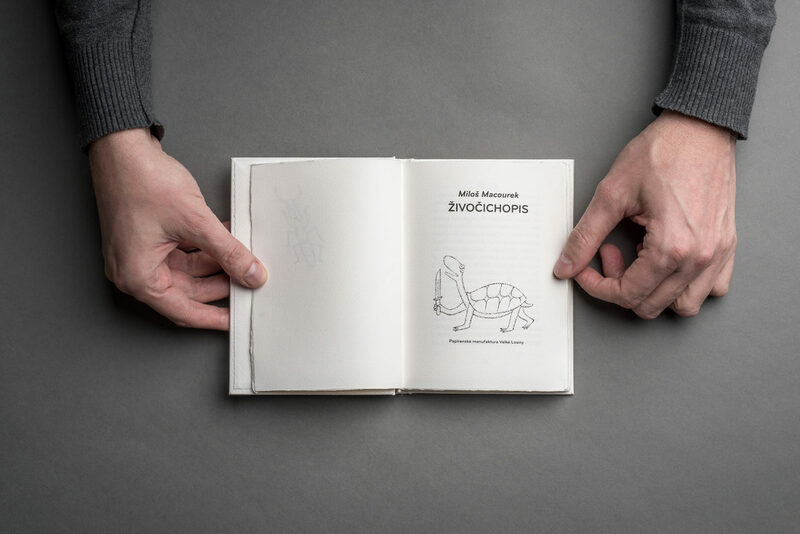 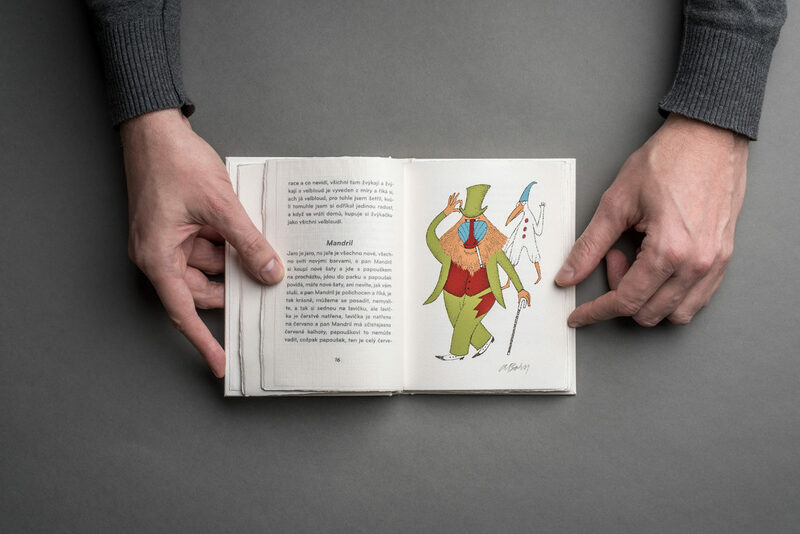 The print runs to 100 signed and numbered copies, typesetting was done by Jan Herynek. 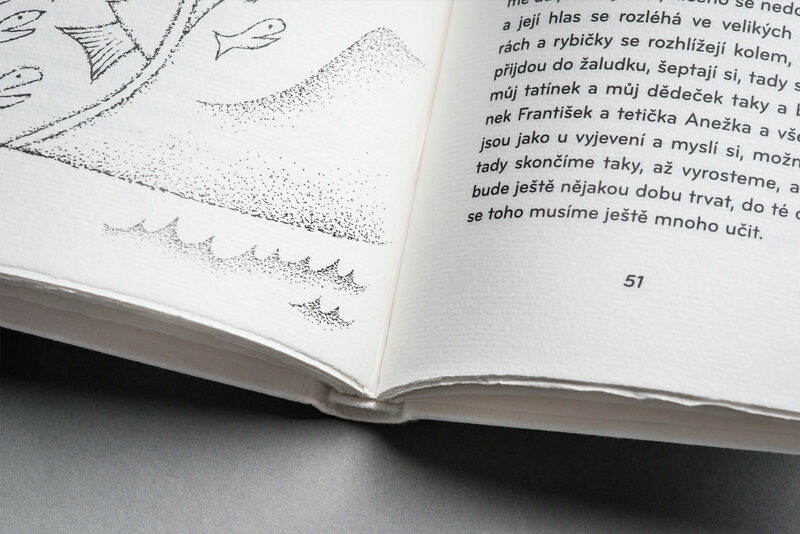 The typeface Bryant Pro is complemented with illustrations without any disturbing elements, and ensures a good readability of texts. 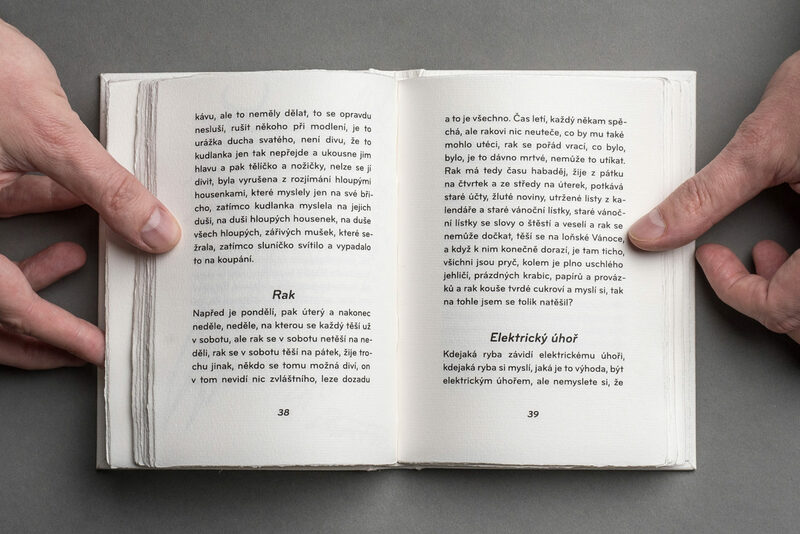 The handmade V8 hardback was done by a master bookbinder Jiří Fogl. 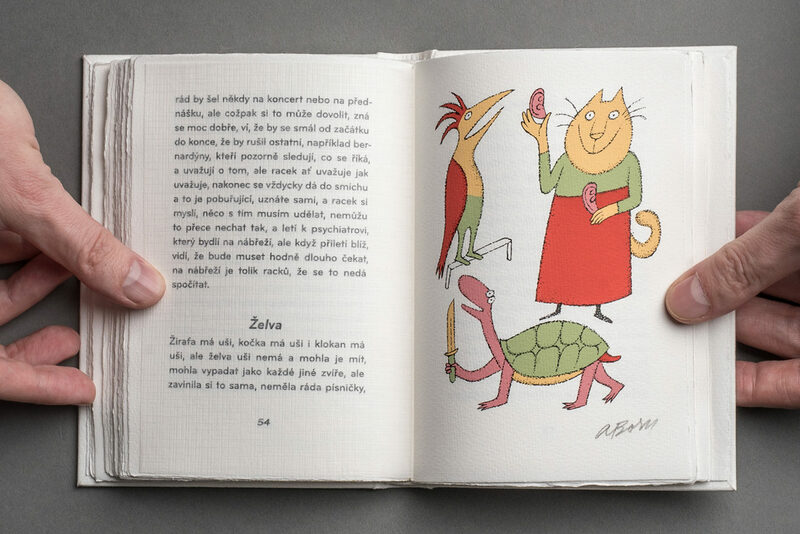 Due to a great interest, a color offset version of the book was printed. 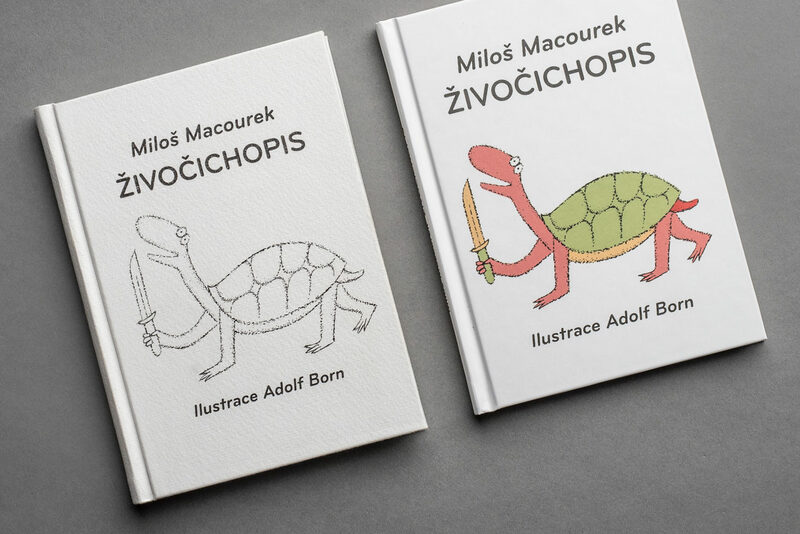 Every book of 500 copies was signed by the well known illustrator Adolf Born.